Since next Sunday is Mother's Day here in the US, I thought I'd spotlight a film about two mothers and their daughters...and how their lives intertwine and are for ever changed. 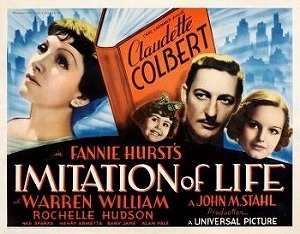 Fanny Hurst's 1933 tear jerker story was made into two films and is still a popular film in the "classic" film genre and runs regularly on various cable channels. I love them both! There are four great roles for women in both films and I'd love to see this adapted again today! 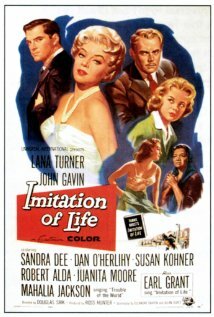 Imitation of Life film posters copyright Universal Films International.